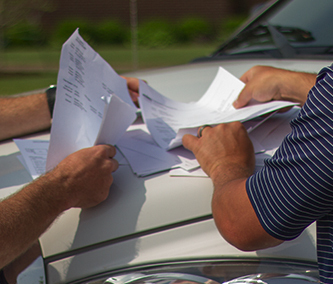 RCV, ACV, Depreciation, Appraisal, O&P, Scope Of Loss, Waste Allotment; these are just a few of the terms you will see when dealing with your insurance claim. All the paperwork, abbreviations, phone calls and required documents aren’t just a headache; they can be downright overwhelming. When you add in the responsibilities of everyday life, it can all be too much. Not to worry, our project managers have the experience necessary to properly manage your claim, get you the money you deserve from your insurance company, and supervise your home’s restoration.